Following yesterday’s announcement that a new TV series starring The Flash will spin out of The CW’s popular (Green) Arrow‘s upcoming second season, producer/writers Geoff Johns (no intro necessary) and Andrew Kreisberg spoke to numerous media outlets via conference call to discuss some of the details. While most of the major bits have appeared elsewhere, including Speed Force, Collider has a very detailed transcript of the call. For more on why Flash was chosen, the timeline for his introduction and more, follow the jump! This entry was posted in Flash News, Media on July 31, 2013 by Greg Elias. So last year retailer, Best Buy teamed with DC Entertainment to bring us an exclusive Flash Figurine based on the DC Animated straight to video release, Justice League: Doom. The figurine was the eighth statue released up to that point. 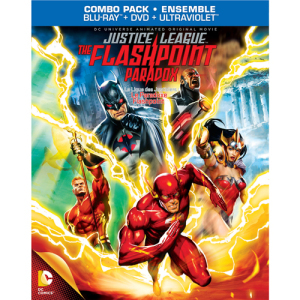 This entry was posted in Collectibles, Media and tagged Barry Allen, Best Buy, DC Animated, Eobard Thawne, Exclusives, figurine, Flashpoint, Geoff Johns, Justice League - The Flashpoint Paradox, Reverse Flash on July 30, 2013 by Devin. The Flash origin episode in Arrow, written by Berlanti, Kreisberg and Johns as stated below, will be treated as a back-door pilot for a potential Flash series. In a way, this is better than a purely Flash pilot: As an episode of Arrow, we’ll get to see it even if The Flash isn’t picked up as a series. As for that Flash movie, Pedowitz didn’t mention any dates, but he did say there is “no conflict” between the movie studio and TV studio’s plans. 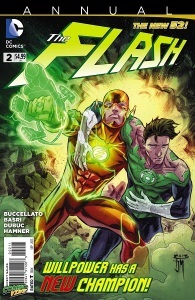 THR states that “Berlanti will direct and pen the screenplay alongside Chris Brancato, Michael Green, Johns and Guggenheim.” Newsarama speculates that the “no conflict” remark and the creative team overlap might imply a connection between the TV world of Arrow and The Flash and DC’s slowly-developing movie universe. UPDATE 2: IGN has a little background on how Flash ended up on Arrow. Also, the op/ed pieces are starting to flow. 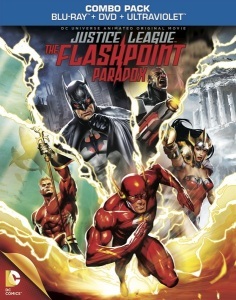 Newsarama suggests that Flash should bridge the TV and movie universes, linking Arrow to Man of Steel, Superman/Batman and Justice League. The Mary Sue discusses the missed opportunity of Amazon, which has been put on hold at the same time. Forbes looks at the TV/movie decision (as well as the Flash/Wonder Woman decision) from a business and branding perspective. UPDATE 3: More information has surfaced in a second Hollywood Reporter article. 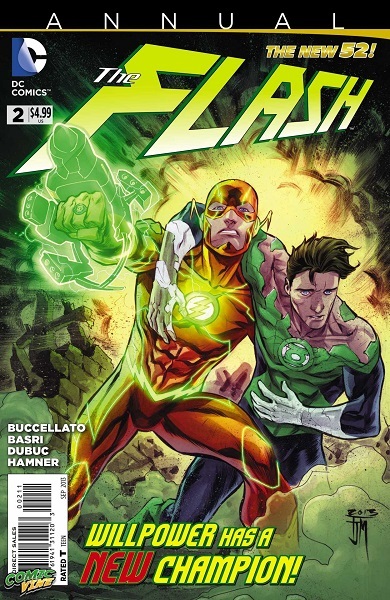 Barry Allen will appear in episodes 8, 9 and 20 of Arrow season 2, each of which will be written by Berlanti, Kreisberg and Johns, and directed by David Nutter. Episode 20 will be the backdoor pilot for The Flash. “When we first meet Barry Allen, he’s just a forensic scientist … an ordinary man,” Kreisberg said, stressing the character, like Amell’s vigilante, will be grounded in reality and as realistic as possible. The first two episodes will see the character in Oliver’s home of Starling City, with the 20th providing a window to see Barry in the Flash’s world. They note that adding superpowers to the mix changes the situation for Arrow, saying that “There will be extraordinary events in the world…” They’ll also be highlighting the contrast between the upbeat Barry Allen and the more serious Oliver Queen. Casting has begun for the role. The pilot will reportedly be written by Greg Berlanti and Andrew Kreisberg (Arrow), and Geoff Johns, who I imagine needs no introduction to readers of this site. Now, keep in mind this is still rumor — just last week, The Hollywood Reporter stated that DC was going to announce a Flash and Justice League movie at Comic-Con to follow Batman/Superman, but that announcement never happened. It’s possible, though, that THR had their wires crossed, or that DC Entertainment’s plans were in flux, and the reason that the Flash movie wasn’t announced is that it was really a Flash TV show. Of course, even if it is true, lots of pilots don’t get picked up as series. 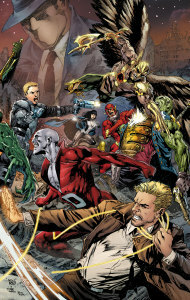 Depending on how you count Smallville’s Bart Allen (he was originally billed as The Flash, but when he actually took a code name it was Impulse) or Jay Garrick’s helmet, it’s been 23 years since the Flash appeared in an official live-action production, the 1990 Flash TV series starring John Wesley Shipp. This entry was posted in Flash News, Media and tagged Andrew Kreisberg, Arrow, Barry Allen, CW, Flash TV Show 2014, Geoff Johns, Greg Berlanti, TV on July 30, 2013 by Kelson.